Today, the USA probably ignited their destruction and no doubt the entire globe. They have decided to raise rates which will cripple the emerging nations. China will reciprocate by devaluing the yuan as the Chinese currency is pegged to the dollar and thus the yuan actually rises against all other currencies except the dollar. So we should expect a huge devaluation in the next few days from China and thus the yuan should hit 7.00 to the dollar and then fall from there.china will be sending deflation throughout the globe.The Japanese yen is now 117 to the dollar and the citizens of Japan will now experience huge price increase in food imports. They will not be happy campers although the export side of things will be thrilled with the lower yen. The USA economy is not robust at all and the higher dollar will kill its exports. Donald Trump will not be a happy camper as he wants lower interest rates while he undergoes fiscal stimulation. He will not be a happy camper being told by Yellen that fiscal stimulus is not necessary. The world’s finances begins to implode tonight. In silver, the total open interest ROSE by 178 contracts UP to 163,556 with respect to YESTERDAY’S trading. In ounces, the OI is still represented by just less THAN 1 BILLION oz i.e. .818 BILLION TO BE EXACT or 117% of annual global silver production (ex Russia & ex China). FOR THE DECEMBER FRONT MONTH: 40 NOTICES FILED FOR 200,000 OZ. In gold, the total comex gold ROSE by 668 contracts EVEN THOUGH WE HAD A FALL IN THE PRICE GOLD ($6.80 with YESTERDAY’S trading ).The total gold OI stands at 397,034 contracts. We are very close to the bottom with respect to OI. Generally 390,000 should do it. 1. Today, we had the open interest in silver ROSE by 178 contracts UP to 163,556 DESPITE THE FACT THAT the price of silver FELL by $0.21 with YESTERDAY’S trading. The gold open interest ROSE by 668 contracts UP to 397,034 even as the price of gold FELL BY $6.80 WITH YESTERDAY’S TRADING. i)Late TUESDAY night/WEDNESDAY morning: Shanghai closed DOWN 14.50 POINTS OR 0.46%/ /Hang Sang closed UP 9.92 OR 0.04%. The Nikkei closed UP 3.09 OR 0.02%/Australia’s all ordinaires CLOSED UP 0.70% /Chinese yuan (ONSHORE) closed UP at 6.9049/Oil FELL to 521.5 dollars per barrel for WTI and 54.89 for Brent. Stocks in Europe: ALL IN THE RED. Offshore yuan trades 6.9086 yuan to the dollar vs 6.9023 for onshore yuan.THE SPREAD BETWEEN ONSHORE AND OFFSHORE NARROWS AGAIN AS MORE USA DOLLARS ATTEMPT TO LEAVE CHINA’S SHORES / CHINA SENDS A CLEAR MESSAGE TO THE USA AND JANET TO NOT RAISE RATES IN DECEMBER. v)The all important retail sales disappoints post Trump victory: coming in at only .1% month over/month! vii)Business inventories fade .2% month over month as excess inventory is being shed. The problem here is that 4th quarter GDP will falter badly. The total gold comex open interest ROSE BY 668 CONTRACTS UP to an OI level of 397,034 AS THE PRICE OF GOLD FELL $6.80 with YESTERDAY’S trading. We are now in the contract month of December and it is the biggest of the year. Here the front month of December showed a INCREASE of 63 contracts UP to 1159.We had 1 notice(s) served upon yesterday so we GAINED 64 contracts or 6400 oz will stand for delivery. For the next delivery month of January we had a GAIN of 53 contracts UP to 2407. For the next big active delivery month of February we had a GAIN of 627 contracts UP to 272,962. The next non active delivery month is January and here the OI fell by 151 contracts down to 1707. This level seems highly elevated. Maybe we are going to see the same huge metals gains in silver as we have witnessed in gold. The next big active delivery month is March and here the OI FELL by 109 contracts UP to 134,833 contracts. We had 40 notices filed for 200,000 oz for the December contract. Today the estimated volume was 126,455 contracts which is POOR. i)OUT OF HSBC: 54,399.492 OZ LEAVES THE DEALER HSBC AND ENTERS THE CUSTOMER HSBC. To calculate the initial total number of gold ounces standing for the DECEMBER. contract month, we take the total number of notices filed so far for the month (8478) x 100 oz or 847,800 oz, to which we add the difference between the open interest for the front month of DEC (1159 contracts) minus the number of notices served upon today (0) x 100 oz per contract equals 963,700 oz, the number of ounces standing in this non active month of DECEMBER. WE GAINED 64 CONTRACTS OR AN ADDITIONAL 6400 OZ OF GOLD WILL STAND FOR DELIVERY. First of all: in 2015 for the 12 months: 51 tonnes delivered upon for an average of 4.25 tonnes per month. average 18.487 tonnes per month vs last yr 51 tonnes total for 12 months or 4.25 tonnes average per month. From May 2016 until Dec 2016 we have had: 198.589 tonnes per the 8 months or 24.824 tonnes per month (which includes the non delivery months of May, June and Sept). In essence the demand for gold is skyrocketing. Something big is going on inside the gold comex. December so far: 30.2748 tonnes are standing vs last year’s 24 tonnes on first day notice and 6.45 tonnes on the completion of it’s delivery month. IN THE LAST FOUR MONTHS 61 NET TONNES HAS LEFT THE COMEX. YESTERDAY’S confirmed volume was 49,950 contracts which IS VERY GOOD. Thus the initial standings for silver for the DEC contract month: 3039(notices served so far)x 5000 oz +(590) OI for front month of DEC. ) -number of notices served upon today (40)x 5000 oz equals 17,265,000 oz of silver standing for the DEC contract month. we GAINED 71 contracts or an additional 355,000 oz will stand for delivery in this active month of December..
NOV 30/A SMALL WITHDRAWAL OF 1.18 TONNES FROM THE GLD/INVENTORY RESTS AT 883.86 TONNES/MAYBE THEY ARE AT THE BOTTOM OF THE BARREL FOR PHYSICAL GOLD TO TRANSFER TO THE BANKERS. Nov 21/A MASSIVE 11.87 TONNES OF PAPER GOLD WERE SUPPLIED BY THE CROOKS TO SUPPRESS THE PRICE OF GOLD/INVENTORY RESTS AT 908.76 TONNES/ AND GOLD RISES??? Nov 21/a MASSIVE 6.071 MILLION OZ OF SILVER WITHDRAWN FROM THE SLV VAULTS/INVENTORY RESTS AT 350.182 MILLION OZ/AND SILVER HOLDS IN PRICE??? 1. Central Fund of Canada: traded at Negative 9.5 percent to NAV usa funds and Negative 8.5% to NAV for Cdn funds!!!! Note: Sprott silver trust back into POSITIVE territory at +0.14% /Sprott physical gold trust is back into NEGATIVE territory at -0.61%/Central fund of Canada’s is still in jail. The executive chairman of Templeton Emerging Markets Group was speaking at the ‘Gold in Islamic Finance’ conference organised by the Accounting and Auditing Organisation for Islamic Financial Institutions (AAOIFI), the World Gold Council and Amanie Advisors and held in Dubai last Thursday. “This standard is a God send. We have a global standard for gold. 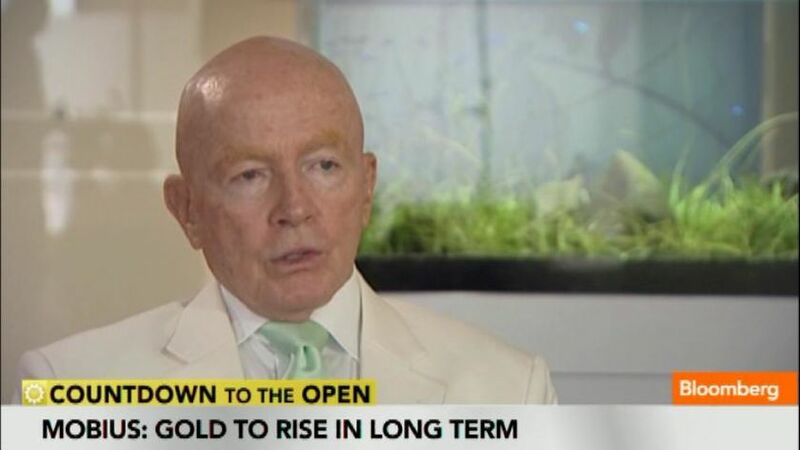 This is innovative and revolutionary” said Mark Mobius. Dr Mobius drew the audiences attention to the growth potential in both the emerging markets and Islamic World of 1.6 billion people and some 100 million investors. He drew attention to the economic growth of both the UAE and China and the growing middle classes and their increasing sophistication in terms of embracing tecnnology in terms of smartphone and internet penetration. He is monitoring the growth in gold ETF inflows, plus the ‘stealth buying’ being done by central banks such as Russia and China. Mobius emphasised the importance of the fact that the new Shariah gold standard is all about the ownership of the underlying asset – allocated physical gold coins and or bars. He noted that the payment or exchange of cash must happen at the exchange of ownership. 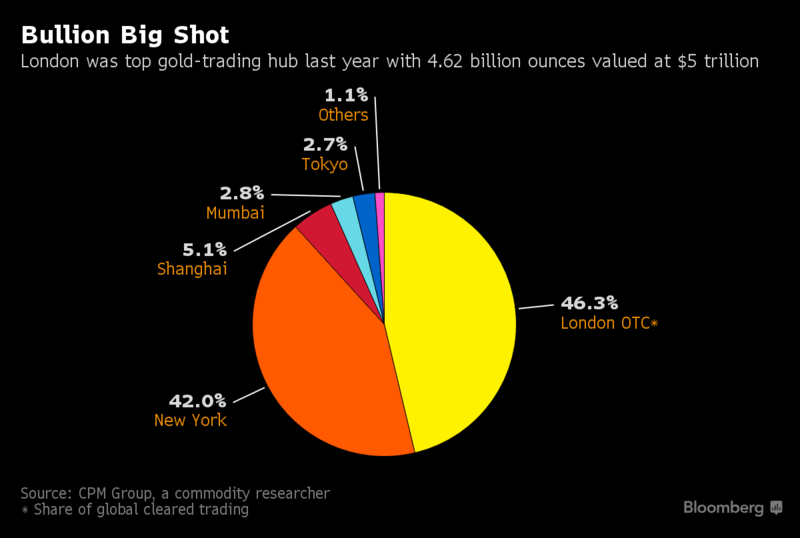 He emphasised there will be a credibility problem even for gold-backed ETFs. He stated that the “issue of physical gold is a big one” and that just storing gold at the NY Fed Reserve in exchange for a receipt is not prudent. Large bullion banks act as custodians for the gold held in gold ETFs and the custodians are generally subject to supervision by the Federal Reserve Bank of New York, the Federal Deposit Insurance Corporation (FDIC) and the Bank of England. 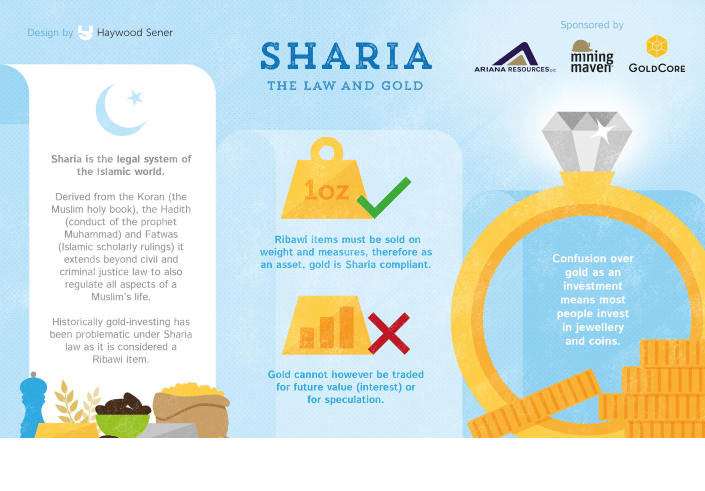 The new Shariah Gold Standard is one of the reasons that Mobius is bullish on gold in 2017 and in the long term. He believes that gold will advance by 15 percent before the end of 2017 as the Federal Reserve will go slow on increasing interest rates leading to increased gold bullion demand. During the election campaign, Donald Trump railed against the effects of an overly strong dollar, warning about the damage it did to US companies’ competitiveness. Unfortunately for the president-elect, his own victory on November 8 has proven to be a catalyst for an even more expensive U.S. currency — in part because of stimulus plans Mr. Trump is pursuing. Gold researcher Allan Flynn today examines the electronic exchanges of bullion bank traders plotting their manipulation of the gold market, exchanges recently disgorged by Deutsche Bank to settle the anti-trust lawsuit against it in federal court in New York. Flynn notes what seems to be a reference in the exchanges to the Bank of China, a government-owned operation. Flynn also finds it curious that while the exchanges disgorged by Deutsche Bank powerfully incriminate Union Bank of Switzerland, a 2014 Swiss government report about misconduct in the currency market by UBS overlooked the gold market. There would be a more than plausible explanation for these angles: that, as GATA long has maintained, governments and central banks are the real parties in interest in rigging the gold and currency markets and so have been giving a pass to bullion banks and investment banks, which borrow gold from central banks for trading purposes, as long as the bullion banks and investment banks push the markets where governments and central banks want them to go. Surreptitious trading by governments and central banks, direct and indirect, is the far bigger issue here, since governments and central banks are authorized to create infinite money and maintain the capacity for totalitarianism. 30 SNB (Swiss National Bank) still intervening again in the markets driving down the SF. It is not working: USA/SF this morning 1.0099 as the Swiss Franc is still rising against most currencies. Euro vs SF is 1.0748 well above the floor set by the Swiss Finance Minister. Thomas Jordan, chief of the Swiss National Bank continues to purchase euros trying to lower value of the Swiss Franc. European stocks slipped from an 11 month high, Asian stocks and S&P futures were flat as caution pervades global markets before the Federal Reserve’s expected interest-rate hike on Wednesday. Crude dropped to session lows near $52 after API data showed U.S. stockpiles increased, and after a Manaar Group consultant said Iraq won’t cut output by 180k b/d-220k b/d as it committed to do under Nov. 30 OPEC agreement. Top corporate news stories include Johnson & Johnson ending Actelion pursuit, IBM vowing to add 25,000 jobs, Hertz replacing its CEO, the WSJ reporting that Goldman is planning to appoint Harvey Schwartz and David Solomon to succeed President Gary Cohn. Today’s FOMC decision has been overshadowed by some big events over recent weeks. As DB’s Jim Reid writes in his overnight piece, today’s outcome has barely registered on people’s radar as a potential macro event. Consensus is the expected 25bp hike but with a wait and see approach from Yellen where she’ll reiterate that it’s too early to second guess potential upcoming fiscal changes. A December rate hike is now fully priced in by the market. However DB’s Peter Hooper does think that the overall message will be modestly hawkish given the shift in risks toward higher growth and inflation ahead. The more hawkish signs should come from a mention of the decline in unemployment and further increase in market based measures of inflation compensation while near term risks should now be noted as fully balanced rather than roughly balanced. The interesting and more uncertain element will be how they treat forward guidance. DB thinks that it’s quite possible that they add ‘changes in fiscal policy’ to the list of factors that will determine ‘the timing and size of future adjustments to the funds rate’. More important is whether they decide to change expectations of ‘gradual’ increases in the fed funds rate and rates remaining ‘for some time’ below levels expected to prevail in the long run. The economic projections and the dots are clearly the other big focus. Consensus expects only modest upward revisions to growth and possibly inflation forecasts, and unemployment to be revised down. In terms of the dots, Peter highlights that while it will take only two dots moving up to raise the median from two to three rate increases next year, he does not expect the Committee leadership to change their view significantly just yet. He notes that they will need to see more about how events unfold with the new Administration and the new Congress before making appreciable changes. The Fed’s path to tighter monetary policy has been delayed throughout 2016, as first instability in Chinese markets, then the shock votes for Brexit and Donald Trump, put policy makers on the defensive. The U.S. central bank is expected to boost borrowing costs just as the focus shifts back to governments, with fiscal easing at the hands of incoming U.S. President Trump speculated to drive economic growth. After Wednesday, traders see a two-in-three chance of additional rate increases from the Fed by June, futures show. To be sure, not even the Fed really knows how to approach 2017, a year in which Trump’s Fiscal stimulus is expected to play a greater role than monetary policy, which has been dominant in the past 7 years, so expect another year of dot-plot driven confusion. He was a harsh critic of Fed Chair Janet Yellen during the election campaign, and how the nation’s incoming chief executive reacts to the expected hike on Wednesday may reveal much about whether and to what extent Trump will try to pressure the central bank through the remainder of her current term, which expires in February 2018. Investors have already pushed up bond yields since Trump’s surprise Nov. 8 election win in anticipation of higher inflation. They are likely to take note of any White House bullying of the Fed, which is expected to continue raising rates next year, albeit at a very gradual pace. So keep a close eye on what Trump tweets after 2:00 pm ET, a moot notice considering how much single-name volatility Trump’s tweets have generated in recent weeks. The Stoxx Europe 600 Index retreated before the conclusion of the Fed’s two-day meeting, as investors awaited clues on the likely path of rates in 2017. Yields on 10-year U.S. Treasuries slipped, after reaching the highest level in more than two years on Monday, while European bonds also climbed. Oil in New York slid to near $52 a barrel before an official inventories report, and currencies of commodity-exporting nations fell. Gold headed for its biggest gain in a week. Europe’s Stoxx 50 Index declined 0.6% after the gauge surged more than 20 percent from its low in February, entering a so-called bull market on Tuesday. The Stoxx 600 Index fell 0.4 percent as of 10:24 a.m. in London. Actelion Ltd. dropped 8.4 percent after Johnson & Johnson said it ended discussions for a potential deal. Mediaset SpA added 5.8 percent, following its biggest gain in 20 years on Monday, as Vincent Bollore’s Vivendi SA and Silvio Berlusconi’s Fininvest SpA battled for control of the Italian broadcaster. Metro AG gained 4.7 percent after the German retailer forecast a rise in sales and earnings for the full year. S&P500 index futures dropped 0.1% after the S&P 500 Index rose 0.7% to an all-time high and the Dow Jones Industrial Average neared 20,000 points. In rates, the yield on 10-year Treasuries fell three basis points to 2.44 percent, after touching 2.53 percent on Dec. 12. The yield on similar-maturity German bonds dropped three basis points to 0.33 percent, while Italy’s fell five basis points to 1.82 percent. Japan’s 30-year government bonds climbed as the nation’s central bank stepped up purchases of longer-term debt. The Markit iTraxx Europe Crossover Index of credit-default swaps declined one basis point to 294 basis points, the lowest since April. The investment-grade Markit iTraxx Europe Index was little changed after falling for 11 days, the longest stretch in more than nine years. Asia equity markets traded mostly higher following another record day in the US, where all major indices printed fresh all-time highs and DJIA advanced to within 100 points from the 20,000 level. ASX 200 (+0.7%) took the impetus from US with outperformance in consumer discretionary as Tatts Group shares gained around 9% after a consortium launched a competing bid for the firm. Elsewhere, Nikkei 225 (Unch.) was indecisive amid a firmer JPY and after a somewhat disappointing BoJ Tankan survey, while the Shanghai Comp (-0.5%) was choppy as participants counterbalanced rising money market rate concerns with the PBoC finally boosting its liquidity injection. Furthermore, the Hang Seng (+0.2%) gained with Sinopec among the leaders following reports it is to sell a 50% stake in a major pipeline for USD 3.3bIn. European equities trade with marginal losses as participants await the FOMC rate decision in which the US central bank is expected to hike the Federal Fund Rate by 25bps (Full preview in the research section). In terms of notable movers of the morning, Actelion shares plunged 8% after Johnson & Johnson withdrew their takeover bid. Elsewhere, the troubled Italian lender Monti Paschi hit limit down amid reports that the ECB rejected request for more time to raise capital. In fixed income markets, the pull back in yields continues, while peripheral bonds yet again outperform with the Italian 10yr yield falling to 1-month lows after Italy’s interim PM won a vote of confidence, in turn the Italian-German 10yr spread has narrowed to 148bps. Additionally, overnight JGB yields outperformed in the long-end after the BoJ increased bond purchases to curb rising yields. In commodities, West Texas Intermediate crude retreated for the first day in five, falling 1.2 percent to $52.37 a barrel. Crude is retreating as focus shifts to expanding U.S. crude stockpiles. U.S. inventories rose by 4.68 million barrels last week, the industry-funded American Petroleum Institute was said to report. Government data Wednesday is forecast to show supplies fell. Gold added 0.3 percent to $1,161.45 an ounce in the spot market. Zinc led a rally in most industrial metals, climbing 1 percent to $2,732 a metric ton on the London Metal Exchange, after a data showed credit in top consumer China expanded the most since March. As we count down to Xmas, today’s FOMC decision has been overshadowed by some big events over recent weeks. Indeed in all my many 2017 outlook meetings today’s outcome has barely registered on people’s radar as a potential macro event. It seems the consensus is the expected 25bp hike but with a wait and see approach from Yellen where she’ll reiterate that it’s too early to second guess potential upcoming fiscal changes. However DB’s Peter Hooper does think that the overall message will be modestly hawkish given the shift in risks toward higher growth and inflation ahead. The more hawkish signs should come from a mention of the decline in unemployment and further increase in market based measures of inflation compensation while near term risks should now be noted as fully balanced rather than roughly balanced. The interesting and more uncertain element will be how they treat forward guidance. Peter thinks that it’s quite possible that they add ‘changes in fiscal policy’ to the list of factors that will determine ‘the timing and size of future adjustments to the funds rate’. More important is whether they decide to change expectations of ‘gradual’ increases in the fed funds rate and rates remaining ‘for some time’ below levels expected to prevail in the long run. The economic projections and the dots are clearly the other big focus. Peter expects only modest upward revisions to growth and possibly inflation forecasts, and unemployment to be revised down. In terms of the dots, Peter highlights that while it will take only two dots moving up to raise the median from two to three rate increases next year, he does not expect the Committee leadership to change their view significantly just yet. He notes that they will need to see more about how events unfold with the new Administration and the new Congress before making appreciable changes. All that to look forward to later this evening. In the mean time one of the events which has overshadowed the Fed for now is the twist and turns in the Italian banking sector saga. The sector got a big boost yesterday however after Italy’s largest lender, UniCredit, announced a bumper €13bn rights offer to shore up its balance sheet. In conjunction, the bank also announced a host of restructuring, cost cutting measures and an €8bn NPL clean-up. Despite the share price initially opening some -6% lower, it rallied back over the course of the day and closed up nearly +16%. That helped the sector surge higher with the FTSE Italia All-Share Banks Index closing up +5.83% which puts it about +30% above the intraday lows at the end of November. Yesterday’s move is in the context of a +2.49% bounce for the wider FTSE MIB and a +1.06% gain for the Stoxx 600. Credit indices in Europe were also tighter although financials didn’t particularly outperform. The iTraxx Main and Crossover indices finished 1bp and 7bps tighter respectively while Senior Fins and Sub Fins were 1bp and 3bps tighter respectively. The Italian banks were unsurprisingly at the front of the pack though with the average sub-spread of the 4 banks 11bps tighter. In rates BTP’s were also the big outperformer with yields -12.1bps lower at 1.870% versus -7bps for the rest of the periphery and -4.0bps for Bunds. It’s worth also noting the new Italy PM candidate, Gentiloni, comfortably won the first of two confidence votes from Italian Parliament yesterday. The Senate vote is this afternoon. Meanwhile, it was back to business as usual for US equity markets yesterday afternoon where we saw the Dow (+0.58%) come within 100pts of the 20,000 level and the S&P 500 (+0.65%) record a fresh new record high. It’s impressive to note now that since Trump was confirmed the election winner, on the 24 trading days the S&P 500 has risen on 16 of those days has returned +6.18%. 10y Treasury yields hovering just shy of 2.5% (closing at 2.472% and little changed last night) failing to dampen spirits while commodity markets were mixed. WTI rose +0.28% and was up for the fourth session in a row while Gold (-0.32%) edged a bit lower ahead of the Fed. Refreshing our screens this morning it’s been a fairly subdued session for Asia equity markets. That said most bourses are currently in positive territory including the Nikkei (+0.13%), Hang Seng (+0.51%), Shanghai Comp (+0.06%) and ASX (+0.69%). Only the Kospi (-0.05%) is in the red. There’s been a bit of action in JGB’s though after the BoJ offered to buy more longer-dated debt at today’s reverse auction. The Bank offered to buy 200bn Yen of debt due in 10-25 years which is up from 190bn previously and also 120bn Yen of bonds maturing in more than 25 years, versus 110bn Yen previously. The >25y buyback also drew 3.06x of interest, which is up from 2.39x last week. The JGB curve has bull flattened as a result. 2y yields are down 0.6bps at -0.203% while 10y yields are down -2.0bps to 0.050% having crept up as high as 0.096% just yesterday and the highest since February. 30y yields are down 3.4bps at 0.761%. Meanwhile the Q4 Tankan survey was also out in Japan this morning. The survey revealed improvement for large manufacturing companies (to +10 from +6) while non-manufacturing companies were stable at +18. Meanwhile there was some modest improvement in the data for both manufacturing and non-manufacturing small companies. Moving on and wrapping up the dataflow yesterday. In the US the NFIB small business optimism reading in November was reported as rising 3.5pts to 98.4 (vs. 96.7 expected). That post-election reading is in fact the highest reading since December 2014 with firms reported as being significantly more optimistic about the outlook for sales and also plans to hire. The other data in the US was the import price index reading for November (-0.3% mom vs. -0.4% expected) which was clearly weighed down by the strengthening US Dollar over the month. Meanwhile the latest inflation data in the UK was out yesterday. Headline CPI printed bang in line at +0.2% mom for November, helping to raise the YoY rate to +1.2% from +0.9%. The core also rose to +1.4% yoy from +1.2%. Yesterday’s data means that headline CPI is in fact now running at the highest level since October 2014. Elsewhere, there were no surprises in the final revisions to the inflation data in Germany where CPI was confirmed as rising +0.1% mom and +0.8% yoy in November. There was some upside surprise from the latest ZEW survey however. The current situations index was reported as rising to 63.5 this month from 58.8 and to the highest level since September last year. Interestingly the expectations component held relatively stable however. Looking at today’s calendar, this morning in Europe we’re kicking off in France where the final November CPI revisions will be made. Shortly after the focus turns to the UK where we’ll get the October and November labour market data. Industrial production data for the Euro area will also be released. It’s a packed afternoon for data in the US meanwhile. The early focus will be on the November retail sales figures. Market expectations are running at +0.3% mom for the headline and +0.4% for the core. The control group component is expected to come in at +0.3%. Also released today is the November PPI report along with last month’s industrial and manufacturing production prints (both expected to decline modestly). Business inventories data for the month of October will also be out. All that comes before the aforementioned main event this evening (7pm GMT) with the conclusion of the FOMC meeting. As a reminder, Fed Chair Yellen will host a press conference shortly after. Having seen 10Y JGB yields spike to 10bps (highest since Feb), The Bank of Japan has decided enough is enough and intervened to bring yields back to the stable 0.00% level they decree as fair. The entire Japanese curve is bull-flattening as the long-end is also rallying after Kuroda and his cronies up their purchases to 200 billion yen, from 190 billion previously. All else equal, this will prompt more demand for US paper from Japanese sources. 10Y Yields had risen to their highest since Kuroda unleashed NIRP. As Bloomberg’s Mark Cranfield noted, The Bank of Japan is back in the JGB market. Yields sliding across the longer end of the bond curve as the BOJ buys super longs. If the Fed does a dovish hike later today, that could be the end of rising yields for this year. This move also follows Jeff Gundlach’s earlier bond bull case, noting that he’s increasing duration and investor fear of bonds seems to be getting overdone. If anyone thought that China would blissfully ignore Trump’s diplomatic snub, in which the President-elect most recently stated over the weekend that he could use the “One China” principle as a bargaining chip to extract trade concessions from Beijing, they may want to reconsider. As we already pointed out, China overnight warned that a US carmaker (ostensibly GM) would be penalized for “monopolist behavior” and in a China Daily editorial, Beijing urged Trump to recognize the importance of close economic ties between China and the United States rather than “trying to gain an upper hand in what is essentially a win-win relationship”. “History proves that what is good for Sino-U.S. relations is good for their economies,” it said, noting that Chinese customers bought more than a third of the 9.96 million vehicles GM sold worldwide last year. In a separate statement, China warned on Wednesday that any interference with or damage to the “one China” principle would have a serious impact on peace and stability in the Taiwan Strait. An Fengshan, a spokesman for China’s Taiwan Affairs Office, told a regular news conference the Taiwan issue was about China’s sovereignty and territorial integrity. “Upholding the ‘one China’ principle is the political basis of developing China-U.S. relations, and is the cornerstone of peace and stability in the Taiwan Strait,” he said. “If this basis is interfered with or damaged then the healthy, stable development of China-U.S. relations is out of the question, and peace and stability in the Taiwan Strait will be seriously impacted,” An said, with an emphasis on peace. “I think the facts tell these people that Taiwan independence is a dead end,” An said. Meanwhile, according to a separate note from Reuters, China’s verbal warnings are being increasingly substantiated by actual deeds, and based on a report by a US think tank, citing new satellite imagery, China appears to have installed weapons, including anti-aircraft and anti-missile systems, on all seven of the artificial islands it has built in the South China Sea. AMTI director Greg Poling said AMTI had spent months trying to figure out what the purposes of the structures was. “This is the first time that we’re confident in saying they are anti-aircraft and CIWS emplacements. We did not know that they had systems this big and this advanced there,” he told Reuters. U.S. President-elect Donald Trump, who takes office on Jan. 20, has also criticized Chinese behavior in the South China Sea while signaling he may adopt a tougher approach to China’s assertive behavior in the region than President Barack Obama. It remains to be seen how he will react to news that China has now officially “militarized” the contested islands in the South China Sea. Greek bond yields are surging in the latest twist of the nearly seven year old Greek crisis, when on Wednesday Eurozone fin mins and the ESM, suspended their promise to grant short-term debt relief measures to the Greek government, as a result of pledges made by the Greek PM Tsipras to ease austerity on the country’s pensioners earlier in the week. In a statement released by Eurogroup head Jeroen Dijsselbloem, the finance ministers chided Greece, saying that “the institutions have concluded that the actions of the Greek government appear to not be in line with our agreements“, jeopardizing the recently adopted measures to alleviate the Greek debt burden. As reported previously, last week creditors granted a series of short-term debt concession which would help reduce the country’s debt servicing burden by 20% points by 2060. Today’s latest breakdown in negotiations comes after the Syriza government announced it would spend €600 million to the nation’s 1 million low-income pensioners, to replace a Christmas bonus scrapped by the Greek bailout supervisors. Following the news, Greek bond yields surged back over 7% amid fresh concerns that the Greek crisis may be coming back. Today’s fiasco follows a snafu overnight, when Euro zone officials hit back at the IMF on Tuesday for publishing an article on the way forward for Greece’s fiscal and economic policy that thrust into the open a row between the lenders over Athens’ bailout. “The European institutions were surprised that the IMF staff published a blog post on the ongoing negotiations with the Greek government as new talks in Athens are starting with the aim of concluding the second review,” said a spokesman for the euro zone bailout fund, the European Stability Mechanism. The IMF article appeared as the Fund and the euro zone struggle to find common ground on Greek policies that would allow the IMF to take part in the latest bailout, the third one since 2010 and now fully financed by the euro zone. When the ECB announced last week that it would expand the universe of eligible collateral for use by Eurozone institutions to include up to €50 billion in cash cash, it – and the market – hoped that the severe collateral shortage manifesting itself in an unprecedented squeeze in the repo market would be alleviated. As a reminder, last Thursday the ECB Governing Council decided that Eurosystem central banks will have the possibility to also accept cash as collateral in their PSPP securities lending (SL) facilities without having to reinvest it in a cash-neutral manner. Following the news, 2Year Bunds quickly sold off last Thursday, with the yield rising by 6 bps to start, as suddenly it makes more sense to park cash with the ECB than to be penalized by -0.7% to hold German short-term debt. However, it was not meant to last, and less than a week later, even with overall Eurogroup liquidity hitting new all time highs earlier this week, German 2Y yields fell as much as 2.9bps to all time low of -0.773% as repo pressures continue to support the front-end, Bloomberg reported citing two traders. The traders added that the €50 billion in securities lending put forward by the ECB are seen as not enough, with structural issues remaining, exacerbated by year-end window dressing. Additionally, a second trader added that some dealers prefer not to trade with the Bundesbank, due to higher failure fees. Curiously, while Schatz futures rise to all time high of 112.275, downside continues to be bought in options, says a third trader based in London with a buyer again emerging in Feb. Schatz 112.00/111.90 put spread, 17k trades at 1 tick. Should the collateral squeeze continue, the ECB may be forced to unveil further intervention mechanisms, as well as additional jawboning by Mario Draghi, potentially before the next scheduled ECB council meeting, especially if the year-end repo shortage drives 2Y yields meaningfully lower. 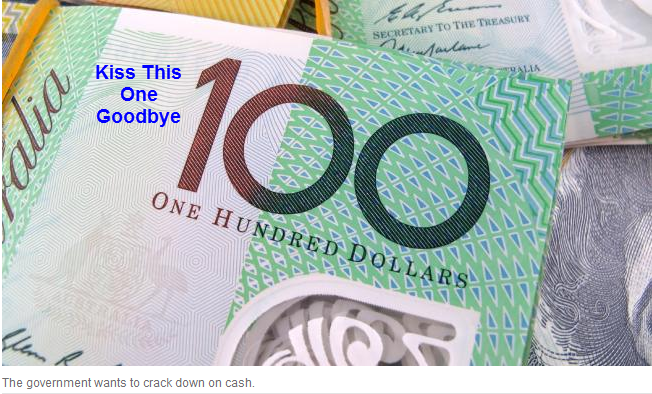 War On Cash Escalates: Australia Proposes Ban On $100 Bill; No Cash Within 10 Years? Global financial repression has picked up steam. Australian citizens are likely the next victim. AU News reports Government Floats $100 Note Removal. SAY goodbye to the $100 note. A report by UBS recommended Australia scrap the $100 note. According to UBS, benefits may include “reduced crime (difficult to monetise), increased tax revenue (fewer cash transactions) and reduced welfare fraud (claiming welfare while earning or hoarding cash)”. Financial Services Minister Kelly O’Dwyer notes there are currently 300 million $100 notes in circulation, and 92 per cent of all currency by value is in $50 and $100 notes. “It does beg the question, ‘Why?’” she asked. It would behoove O’Dwyer to think. People can have 100 pennies in their pocket (each of which is nearly worthless) or they can hold a dollar. Similarly, people can hold a stack of ten $10 notes in their wallet or they can hold a $100 note. Mathematically it makes perfect sense that 92 per cent of all currency by value is in $50 and $100 notes. What the hell does $1 buy these days? Is someone going to carry a wad of fifty $1 notes to go to a movie and buy popcorn? No Cash Within 10 Years? Rest assured this will not stop with $100 notes. There will no cash within ten years. But as Bloomberg reports, try as everyone may, cash registers are still bursting with paper bills and metal coins. Cash is alive and well, according to a new study of the spending habits of more than 18,000 people in seven countries. The value of dollars and euros in circulation has doubled since 2005, to $1.48 trillion and €1.1 trillion, respectively. Some of that growth can be explained by demand for these currencies in foreign countries, but there’s also plenty of evidence that Europeans and Americans are still carrying around wads of cash. The new research crunches and compares data on payment choices in Australia, Austria, Canada, France, Germany, the Netherlands, and the U.S. The study shows notable differences among these countries: Germans and Austrians carry around and use the most cash; the Dutch love debit cards; paper checks are still relatively common in France and the U.S. The bottom line, however, is that consumers in all seven countries use cash more often than they use any other payment method. Cash is least popular in the U.S., where it’s used for 46 percent of all transactions, vs. 26 percent for debit cards and 19 percent for credit cards. On the heels of last night’s big crude build, OPEC’s overnight report stating that supply cuts won’t re-balance the market until the second half of 2017 has sparked further losses in oil prices, almost erasing the entire OPEC/NOPEC/Saudi cut ramp. As Bloomberg reports, OPEC said its agreement to cut production, while speeding up the re-balancing of the global oil market, won’t result in demand exceeding supply until the second half of next year. The Dec. 10 agreement between the Organization of Petroleum Exporting Countries and non-members such as Russia and Kazakhstan “will accelerate the reduction of global inventories and bring forward the re-balancing of the oil market to the second half of 2017,” OPEC said in its monthly report Wednesday. It’s a more pessimistic outlook than that published Tuesday by the International Energy Agency, which indicated a supply deficit in the first half. Despite a commitment from those countries to lower their output in the first half by 600,000 barrels a day, the organization slightly increased forecasts for supplies from outside OPEC in 2017. It estimates that production in Russia, which pledged half of the non-OPEC cut, and in Kazakhstan, which also agreed to cut, will remain steady for the six months covered by the deal. SGH says Saudi Arabia “will lead efforts to put more supply in the market” if prices rise too quickly or too far above $60/bbl. Manaar Group sees Iraq cutting output less than it pledged. After API’s surprising large gasoline, crude build overnight, prices have been under pressure (not helped by OPEC comments).However, DOE just reported a much bigger than expected draw in crude (complete opposite of API). Cushing saw a bigger than expected build and crude production surged. This is the 3rd biggest weekly surge in production since the peak in May 2015. Gasoline demand continues to slide. As Bloomberg notes, much of the draw came from PADD5 as Cushing built. Pushing Cushing Inventories to 7-month highs. And notably gasoline demand is tumbling. Still, despite the 0.5mm increase in gasoline stocks to 230mm in the past week, the increase was smaller than is customary for this time of the year, which means total gasoline stocks are now just 10.7mm bbl, or 4.9%, higher than where they were one year ago. Meanwhile US imports slowed modestly to 7.4mmbpd, compared to 8.3mmbpd last week. With rising rig counts, it is likely the trend of US Crude production increases will continue, and they did this week with a big surge post-OPEC: This is the 3rd biggest weekly surge in production since the peak in May 2015. The 30 yr bond yield 3.10, DOWN 3 IN BASIS POINTS from TUESDAY night. USA dollar index early TUESDAY morning: 100.89 DOWN 17 CENT(S) from TUESDAY’s close. the Italian 10 yr bond yield is trading 40 points HIGHER than Spain. The British pound at 5 pm: Great Britain Pound/USA: 1.2555./ DOWN 105 BASIS POINTS. This seemed an appropriate place to start… Make sense right? Nasdaq almost made it back to unchanged on the ramp…Small Caps and Trannies slammed hardest but this was the market’s worst day since October 11th. With 100% chance of at least a 25bps hike (and 10% chance of 50bps),this was perhaps the most ‘priced in’ of any Fed meeting ever. Of course, it is not whether the Fed hikes or not at a given meeting that matters, but rather what kind of overall hiking cycle it communicates, and so attention is focused on changes to the ‘dot-plot’. No surprise here: FED RAISES RATES BY 25 BPS, REPEATS GRADUAL POLICY PATH PLAN, but the forecast is more hawkish: FED OFFICIALS SEE THREE 2017 RATE HIKES VS TWO IN SEPT. DOTS. Of course now all eyes will be on Donald Trump’s Twitter account for any response. *FED MEDIAN EST. FOR LONGER-RUN FUNDS RATE 3% VS 2.9% IN SEPT.
*FED: MEDIAN FEDERAL FUNDS EST. 2.1% END-2018 VS 1.9% IN SEPT.
*FED: MEDIAN FEDERAL FUNDS EST. 2.9% END-2019 VS 2.6% IN SEPT.
Fed median est. for longer-run funds rate 3% vs 2.9% in sept.
Then this happened as Janet states that Trumps’ fiscal stimulus is not needed!!! Reading between the lines, Janet Yellen squirmed her way through question after question focused on the effect of Trump’s potential fiscal stimulus plan without a definitive answer except to say that a “fiscal boost not obviously needed to get back to full employment” warning that “policymakers must take GDP-to-Debt ratio into account”, and questioned whether a tax reduction plan would improve the economy or productivity at all. Question from CNBC: In recent testimony your advice was for fiscal authorities to increase productive capacity of the economy. Do individual and business tax cuts increase the productive capacity of the economy? And how would the fed’s reaction be different to fiscal policies that increase the productive capacity of the economy and those that don’t? Yellen: So, the statement that I made that it would be useful to increase the productive capacity of the economy reflects my concern that productivity growth has been very low. It is the ultimate determination of the evolution of living standards. Policies that would improve productivity growth would include policy changes that enhance education, training, workforce development, policies that spur either private or public investment to enhance the quality of capital, in the United States, that workers have to have to work with, and policies that spur innovation or competition or the formation of new firms. So tax policies can have that effect. It really depends on the specifics. I don’t think there is anything that I could say in general about what tax policy would do, but and I really can’t tell you what the fed’s response would be to any policy changes that are put into effect. I wouldn’t want to speculate until I were more certain of the details and how they would affect the likely course of the economy. Follow up from CNBC: If there was a rush of fiscal policy, that did not increase the productive capacity of the economy, would that mean the Federal Reserve would have to move more quickly with raising rates? Yellen: It is something I can’t generalize about, because while it would be desirable to have tax policies that do increase the productive capacity of the economy, an increase in the pace of productivity change is one of the factors that does affect the economy’s neutral rate, a boost to productivity could spur investment. As we have been saying, we estimate that the value of the neutral federal funds rate is quite low, and one of the reasons for that is slow productivity growth. So it’s very hard to generalize about it, because it could affect that neutral rate. Question from the Washington Post: I’m curious, you and your predecessor had both at times called for more fiscal stimulus, to help with the outlook, the growth outlook. I’m wondering how much do you judge the economy has capacity for fiscal stimulus right now? It’s a version of Steve’s question but I think we are trying to get at, how much can happen before we run the risk of overheating? Yellen: Well, I believe my predecessor and I called for fiscal stimulus when the unemployment rate was substantially higher than it is now. So with a 4.6 percent unemployment, and a solid labor market, there may be some additional slack in labor markets, but I would judge that the degree of slack has diminished. So I would say at this point that fiscal policy is not obviously needed to provide stimulus to help us get back to full employment. But nevertheless, let me be careful that I am not trying to provide advice to the new administration or to Congress as to what is the appropriate stance of policy. There are many considerations that Congress needs to take account of, and many bases for justifying changing fiscal policy. I’ve continued to highlight the importance of spurring productivity growth, that I think that would be something that is beneficial for the economy. Of course, it’s also important for congress to take account of the fact that, as our population ages, that the debt to GDP ratio is projected to rise, and that needs to continue to be taken into account. So there are many factors that I think should enter into such decisions. More hawkish than expectations...investors we have talked to understood that the “supertanker” that is Fed policy was likely to turn, but was more likely to wait in forecasting a faster pace of rate hikes until till the new administrations fiscal policy plans became clear. Since the Fed did not even wait to raise the DOT plot until fiscal plans became clear, will the reality of tax-cut fiscal policy increase the DOT’s even further at some point? Market expectations for rate hikes are still behind the Fed. With German 2yr rates -0.72% and the U.S. 2yr making very little sense at 1.2 if the Fed funds rate is going to be above 2% in 2018, upward pressure on the USD should persist. The all important retail sales disappoints post Trump victory: coming in at only .1% month over/month! Retail Sales growth for November rose just 0.1% MoM, missingexpectations of a 0.3% jump, and saw notable downward revisions to October’s surge. The biggest drover of the weakness was sales of motor vehicles tumbled 0.5% MoM in November. IP decline 0.4% MoM in November (the biggest drop since March) and missed expectations… despite a surge in surveys proclaiming manufacturing picking up? At some point this matters, right? Business inventories fade .2% month over month as excess inventory is being shed. The problem here is that 4th quarter GDP will falter badly. Business Inventories dropped 0.2% MoM in October (worse than expected). The last time we saw a bigger MoM drop was September 2011 and this casts some doubt about the exuberant hopes for Q4 GDP growth. Furniture and motor vehicles inventories dropped notably(probably a good thing given their excesses) but overall retail sales (according to this measure) rose 0.7%. The good news – America is working off its excess inventory. The bad news – this is terrible for GDP growth expectations, and wage growth hope (production cust we are already seeing). Once again – like for retail sales and industrial production earlier, the center of the problem is in motor vehicles production and inventories. “We’re getting to the point where further rises in Treasuries, certainly above 3 percent, would start to have a real impact on market liquidity in corporate bonds and junk bonds,” Gundlach said on Tuesday as reported by Bloomberg. In just under 5 hours, the Fed is expected to raise its Fed Funds rate by 0.25% for the first time this year and only the second time since the 2008 financial crisis. Gundlach said on the webcast that he will be looking after the meeting for signs that Fed members are growing inclined to raise rates more aggressively in the next couple of years as the economy heats up. Gundlach also said that he has increased the average duration of holdings in his fund as rates have risen since July, while still holding debt with a shorter duration, and lower risk, than the benchmark Bloomberg Barclays U.S. Aggregate bond index. Gundlach also said it is reasonable to be nimble and do some purchasing of Treasuries. “I think it is an okay buy right now,” he said. “We hate the market less. We are a little bit less defensive,” Gundlach said. When bond prices are down, DoubleLine likes it more, he said. If the 10-year yield exceeds 3 percent next year, high-yield “junk” bonds will drop into a “black hole of illiquidity,” Gundlach said. For those who missed it, Gundlach’s full presentation from yesterday’s webcast is below. More trouble in Dallas as a great number of police resignations (99) were slapped on city desks. A few days ago we noted that the Dallas Police and Fire Pension System (DPFP) took the unprecedented step of halting withdrawals from their DROP fund after a “run on the bank” pushed to the entire pension system, and the City of Dallas, to the brink of liquidity crisis (see “In Unprecedented Move, Dallas Pension System Suspends Withdrawals“). Now, a local CBSaffiliate in Dallas is reporting that the pension crisis is driving a massive surge in police resignations. Interim Dallas Police Chief David Pughes told city council members Monday that 99 officers have left the department since October 1. City councilman Philip Kingston is among those who blame the situation on the cash-starved police and fire pension fund. “It’s concerning, but it’s not very surprising with the turmoil surrounding the pension system,” said Kingston. The Dallas Police Association said in any given year, about 180 officers leave the department — either to retire or work at higher-paying departments. About half the number have left in a two and a half month period. Of course, not surprisingly, the majority of the resignations came from older, tenured officers who had the most to lose. “I think most of those 99 were tenured officers, so those are our most experienced officers, the majority investigative detectives who solve crimes everyday,” said Mata. Meanwhile, just like any other government problem, Dallas city council members have decided that the appropriate solution to their liquidity crisis is to offer police officers a 27% pay increase to be phased in over the next three years…that should be “roughly” inline with inflation, give or take 25%. After months of negotiations, city council members will vote Wednesday on a new contract not only for police officers, but firefighters and paramedics as well. Under the terms, most police officers, firefighters and paramedics would receive merit increases of ten percent the first year, five percent the second year, and ten percent the third year. The Dallas Police Association and a city council member say they think the raises will help keep younger officers from leaving for other departments. As we’ve stated many times over the past several months of following the DPFP implosion, taxpayers will be the ultimate loser here…looks like that’s already starting to play out. For those who missed it, here is what we recently posted after the DPFP decided to halt pension withdrawals. Two days after the Mayor of Dallas, Mike Rawlings, filed a lawsuit against the Dallas Police and Fire Pension system to block withdrawals, which he referred to as a “run on the bank” of an “insolvent” pension system in “financial crisis, the Pension’s board has finally taken steps to halt further withdrawals. Of course, this delayed action has come only after $500 million in deposits have been withdrawn since just August. According to the Dallas Daily News, an incremental $154mm in withdrawal requests were pending at the time the decision was made earlier today. The Dallas Police and Fire Pension System’s Board of Trustees suspended lump-sum withdrawals from the pension fund Thursday, staving off a possible restraining order and stopping $154 million in withdrawal requests. While Dallas citizens cheered the decision, even opponents of the Mayor’s admitted that the redemptions had to be halted if the city had any chance of saving the pension system from insolvency. The crowd responded with cheers after the mayor’s announcement of the board’s decision. Council member Scott Griggs said he couldn’t let the $154 million “go out the door” on Friday. The fund has about $729 million in liquid assets. It needs to keep about $600 million on hand, meaning the restrictions could have been coming at some point even without the mayor’s actions. The withdrawal requests this week alone would have meant the fund would dip below that level. One retired police sergeant, Pete Bailey, suggested a lawsuit could be in the offing if the system didn’t pay out the requests that were made Tuesday. Friar understood that they might deal with more litigation. Perhaps future ponzi schemes pension systems will take note of Dallas’ current situation prior to guaranteeing 8% returns on retirees’ pension balances. Who could have ever guessed that a decision like that could have backfired so badly? Anti-Trump Texas faithless elector Stephen Christopher “Chris” Suprun, who wrote a widely-shared op-ed in The New York Times about his decision, in which he claimed ideological superiority over Trump, which would prevent him from voting for the President-elect on December 19 as he is required, joined and paid for cheating website Ashley Madison in 2012, using the same address registered to his 9/11 charity, while bankrupt, likely unemployed, and married with three young kids, after he and his working wife owed over $200,000 to multiple creditors — and that’s just the start of it. GotNews’ research into Suprun’s bizarre and unexplained flip-flop against President-elect Donald J. Trump turned up Ashley Madison data, damning bankruptcy records, and a series of P.O. boxes and what appears to be an association with a payday loan scam site. Since turning against the decision of the people of Texas to elect Trump, Suprun also became a client of a “social justice media strategy” PR firm run by left-wing CNN commentator Van Jones. There’s only one Stephen Christopher Suprun, from Texas, born in March 1974, and the P.O. box is one of many P.O. boxes registered to Stephen Christopher Suprun that can be found with a quick search of any public records database. According to the data, Suprun joined Ashley Madison in February 2012, just six months after joint-filing for bankruptcy with his wife, Dianne Michelle Suprun, in September 2011, and paid for an “affair guarantee” in September 2012. The Supruns were not discharged from bankruptcy until 2016. Suprun was also likely unemployed in 2012, when he decided to pay money to try and cheat on his working wife with three kids, even though he was bankrupt. While GotNews could not find definitive proof of employment or unemployment in 2012, the bankruptcy court docket never records Suprun becoming employed or requesting a change of payment plan due to employment. Suprun’s publicly available professional history seems to end in 2007, and a July 2012 archive of his now-defunct consulting business Consurgo, LLC shows that their last “publication” was in 2008. Actively employed after bankruptcy? Seems unlikely. What was he using those other P.O. boxes for? Could this really be Stephen “Chris” Suprun’s website and, presumably, source of income? Or did Suprun use the site at one point because of his unemployment and bankruptcy? Is he a victim of a payday loan scam site? But why would someone who owns websites like “neverforget911.org” and “consurgo.org” ever list a payday loan site they used as their own website? Nexis is a leading provider for information like this relevant to credit reports, particularly for businesses and banks, allows people to dispute informationabout them, and is prohibited by law from providing false information. How likely is it that someone like Suprun, who was unemployed for an extended period of time and went bankrupt, is not familiar with this? We can’t conclude anything from the Nexis listing, but taken together with Suprun’s bankruptcy, unemployment, fishy charities, and 6 P.O. boxes, it certainly raise a lot more questions. And why would a supposedly conservative Republican like Stephen “Chris” Suprun use a far-left non-profit “social justice” PR firm run by Van Jones? Our investigation here may provide the answer: Suprun could still be totally broke and this is the only firm that will represent him. In fact, between the well-heeled PR firm, the Democratic elite’s unhinged response to President-elect Donald J. Trump’s resounding victory on November 8, and Suprun’s sudden change of heart about Trump, it even raises the question of whether or not Suprun is receiving money, favors, or other kinds of benefits in exchange for his anti-Trump cooperation! Do the people of Texas want to be disenfranchised from their presidential vote by an elector with a history of financial troubles who is being represented by his supposed political enemies? Probably not, which explains why nearly 30,000 people have signed a petition to recall Chris Suprun as an elector, as you can see here. He doesn’t mention that he paid money to cheat on his working wife, while bankrupt and deep in debt with his 3 kids, using the same P.O. box that he used for his 9/11 charity — one of many P.O. boxes registered at one point to him in public records databases, along with what appears to be a fishy payday loan scam site. Suprun implies he is an “elector of conscience”, but GotNews’ research into his past casts doubt on the idea that he has a conscience at all. GotNews sent requests for comment on the shocking information in this article to multiple e-mail addresses listed as Suprun’s, as well as Suprun’s social justice PR firm Megaphone Strategies, that he lists in his Twitter profile. GotNews has received no responses as of press time. GotNews also called Suprun’s Never Forget Foundation and tried to send an e-mail through the Never Forget Foundation contact form. We got no response over the phone and left a message. The e-mail contact form did not go through. Update: Forty members (up from 29 earlier) of the Electoral College on Tuesday signed a letter demanding an intelligence briefing on Russian interference in the election ahead of their Dec. 19 vote. As The Hill reports, ten electors originally signed the letter when it was published Monday, and 30 more have since added their names. The open letter — led by Christine Pelosi, the daughter of House Democratic Leader Nancy Pelosi (Calif.) — urged Director of National Intelligence James Clapper to give a detailed briefing on President-elect Donald Trump’s ties to Russia. “We further require a briefing on all investigative findings, as these matters directly impact the core factors in our deliberations of whether Mr. Trump is fit to serve as President of the United States,” the letter read. The Clinton campaign applauded the effort Monday, saying it had repeatedly warned about Russian interference aimed at swaying the election in Trump’s favor. However, while 40 electors would be enough to turn the election in Hillary Clinton’s favor, the so-called “Hamilton Electors” are almost uniformly Democratic voters anyway and so with Ashley-Madison fan Chris Suprun the only Trump turncoat, for now the ‘soft coup’ remains a long shot. Bob Muller, a GOP county chairman in North Carolina and a Trump elector, said he’s gotten correspondence from “everywhere from Maine to California” asking him to vote differently. “I just ignore them,” Muller said. So far, only a few Electoral College voters have publicly declared that they will not back the candidates that their states supported — including just one of the 37 Trump voters that the self-styled Hamilton Electors, a group of mostly Democrats, need to make any noise on Monday. And even if the rogue electors achieve their aims, they would only succeed in sending the election to a Republican-majority House, which would almost certainly certify Trump’s victory. Virtually all Republican electors reached by The Hill said they will vote enthusiastically for Trump. “I’m voting how the people of Florida have told me to vote,” said Brian Ballard, a Florida elector who raised money for Jeb Bush and Marco Rubio during the GOP primary. “I don’t know anyone who isn’t. I appreciate people using First Amendment rights to reach out and try to convince me otherwise, but I’m obligated to support Trump because he won Florida. Faithless electors are rare but not unheard of in American history. At this point, the effort appears to be more about undermining Trump, complicating his ability to govern and following personal convictions — and less about actually winning the Electoral College for another candidate. As we detailed earlier, Donald Trump could have the election legally stolen from him on either December 19th when the Electoral College casts their votes or on January 6th when a joint session of Congress gathers to count those votes. As The Economic Collapse blog’s Michael Snyder notes, the establishment is in full-blown panic mode at this point, and they seem to have settled on “Russian interference in the election” as the angle that they will use to unleash this ‘soft coup’ as today, the Hill reportsmore Democratic electors are joining the call for an intelligence briefing before they cast their votes for president on Monday. Twenty-nine electors now are pressuring Director of National Intelligence James Clapper to disclose more information about the CIA’s conclusion that Russian interference helped sway the election in President-elect Donald Trump’s favor. On Monday, 10 electors — spearheaded by Christine Pelosi, the daughter of House Democratic Leader Nancy Pelosi (Calif.) — wrote an open letter to Clapper, demanding more information ahead of next week’s vote. “The Electors require to know from the intelligence community whether there are ongoing investigations into ties between Donald Trump, his campaign or associates, and Russian government interference in the election, the scope of those investigations, how far those investigations may have reached, and who was involved in those investigations,” the letter reads. Twenty-eight Democrats and one Republican have now signed the letter. On Monday, the Clinton campaign voiced support for the effort. “Each day that month, our campaign decried the interference of Russia in our campaign and its evident goal of hurting our campaign to aid Donald Trump,” said John Podesta, Hillary Clinton’s campaign chairman, in a statement. But ultimately, as The Economic Collapse blog’s Michael Snyder warns,this is not about Russian interference in our election. In reference to the Fed rates, they had no choice but to raise, and it wasn’t nearly enough to balance rates. The Fed rate follows the 10-yr-Treasury, which is an open market rate. 10-yr-Treasury has raised 85 bips since mid-Fall: ~1.72-2.57. There is still an imbalance, a large one. Last time they raised rates (12/15), it was listed only; loans went out at .12 instead of the listed .35. So the open market 10-yr-Treasury is still much higher than the Fed rate. If you are doing an arbitrage between these rates, you will still make gobs of money, if, in fact, any of us have any money to arbitrage. Fred the Timneh says, “Hail Caesar. Pretty bird.” I hope he’s doing well. Fred’s a … at the moment.